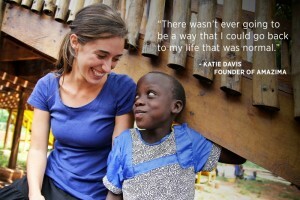 In December of 2006, 18-year-old Katie Davis from Brentwood, Tennessee, traveled to Uganda for the first time. She was immediately captivated with the people and the culture. In the summer of 2007, right after graduating from high school, Katie returned to Uganda to teach Kindergarten at an orphanage. She made an agreement with her parents that it would only be for one year and then she would return to the states to attend college. However, God had a different plan for Katie. As she lived in Uganda and saw the deep needs of the people and began responding to those needs…one person at a time, the idea of going back to live in the United States became unrealistic. During her first year there, she was shocked to see the sheer number of school-aged children walking along the road, playing with their friends, washing their families’ dishes, or digging in the fields. She learned that most schools in Uganda require school fees for attendance, making impoverished families unable to afford an education for their children. God laid it on Katie’s heart to start an Education Sponsorship Outreach which would match orphaned and vulnerable children who are unable to afford schooling with sponsors anywhere in the world. She originally intended to have only a handful of children in the sponsorship program, but in the first year Katie had 150 children sign up. Today the program sponsors over 700 children. Later that year, in 2008, Katie established a non-profit organization called Amazima Ministries International. The word “Amazima” means “truth” in the native Luganda language. 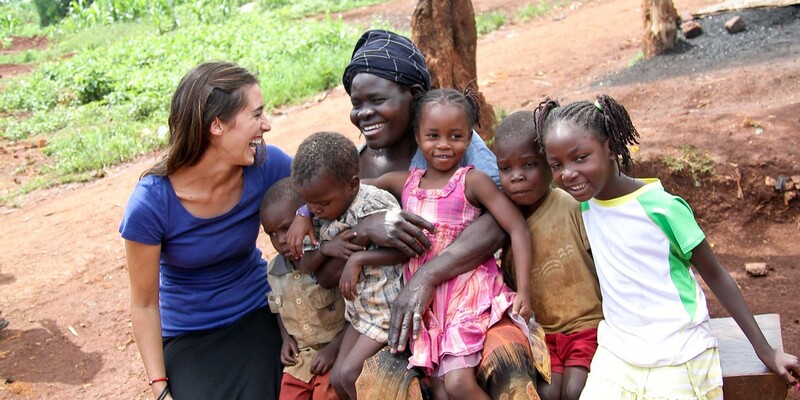 The organization seeks to meet the physical, emotional, and spiritual needs of the people of Uganda who need it most. Shortly thereafter, Katie was introduced to the Karimojong people of Masese. Living in poverty, and losing their children to malnutrition and starvation at an astounding rate, she noticed their desperate need for nutritious food. She started what is now the Masese Feeding Outreach which provides meals to 1,200 children Monday through Friday. This program allows the children to attend school and therefore not be forced to the street to beg. Amazima also provides medical care, Bible study, and general health training to the Masese community. 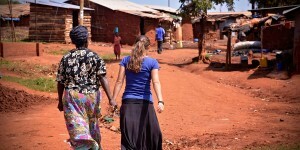 As her friendships developed in Masese, Katie wanted to help the women in the village provide for their families, for the Gospel to take root, and for them to be the change we wish to see within the community. She initiated a self-sustaining vocational program to empower these women to generate needed income by making unique Ugandan magazine bead necklaces. The necklaces made by the women are purchased weekly by Amazima and then sold in the United States. The money the women receive for their beads allows them to support their family and send their children to school. All of this happened because one young girl followed the call God placed on her life…and it was never about her comfort or for her honor and glory. It was all about caring for the “least of these” for God’s glory. Her work in Uganda can be hard and heartbreaking and at times frustrating. She wrote in her journal in her first few months living in Uganda that “Sometimes working in a Third World country makes me feel like I am emptying the ocean with an eyedropper.” What Katie has learned over time, however, is to be okay with knowing that while she may not be able to change the world, she can change the world for one person at a time and that is enough. She began to understand that God had one purpose for her, in Uganda and in life, and that was to LOVE the least of these…one at a time. This calling to respond to the needs of one person at a time, led her to the amazing decision to adopt 13 daughters by the time she was 22 years old. The first three little sisters she adopted were living on their own in a mud house when it collapsed on the oldest sister, Agnes, who was 9 years old at the time. Their father had died of AIDS and the mother had disappeared. They had a grandma who provided a little food when she could, but typically their days consisted of digging in the field for a little something to eat and walking miles to and from the nearest well with a large plastic jug to collect the day’s water. After the house collapsed, neighbors brought Agnes to the hospital. When Katie heard of this tragedy, she decided to go to the hospital to pray for this little girl. What she discovered was that she was lying there, untreated, because no one would pay for her care. Katie agreed to pay the $20 to cover her treatment and took the younger two sisters home with her until Agnes was better, but one thing led to another and Katie knew she needed to be the forever home for these girls and 10 more who would enter her life at different times. To learn more about Katie and the Amazima ministry visit www.amazima.org.